Posted by Bill Mann on Friday, December 21st, 2012 at 10:36am. When you plan on getting a mortgage in Rehoboth Beach anytime this winter, you’re fairly certain to run into something known as the GFE. It’s the acronym for ‘Good Faith Estimate’-- and despite the reassuring name, the federal governm ent decided they had better make it mandatory (to me, the opposite of having much faith at all). 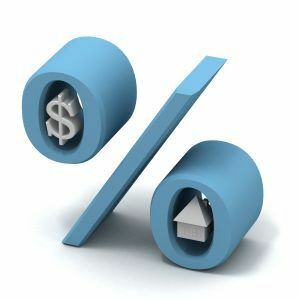 The GFE has a new format dictated by the federal Real Estate Settlement Procedures Act which requires lenders to provide an estimate of the charges and fees due at closing. Lenders have three days to make it available. The GFE looks like a bill. It features a list of fees and charges denoted by three-digit codes. It is grouped into sections to make it more readable, and although at first glance the resulting grid looks overly complicated, after you scan through it once or twice, it actually makes sense. The reason it is a good idea is because of the number of charges that may or may not be on there. It prevents sudden last-minute cash flow surprises at closing. Once you receive your GFE, you'll also receive a Truth in Lending (TIL) disclosure form. This gives you the annual percentage rate for your mortgage, taking into account mortgage insurance, discount points and other assorted fees. The GFE is exactly what it says - an estimate. This isn’t so that the lender can suddenly raise the prices: there is a built-in variability to the various processes that truly cannot be guaranteed until the last ‘i’ is dotted and the last ‘t’ crossed. The figures quoted in a GFE can rise as much as 10 to 15 percent or more by closing…they can also fall. The GFE comes in quite handy when you’re getting a Coastal Delaware mortgage because you can compare it with the final, see where any differences appear, and be assured that it all makes sense. If getting a mortgage meant waiting until closing to see what surprises appear, the moment would be much less appealing. Getting a mortgage is an integral part of becoming a Coastal Delaware homeowner. Understanding the costs at every step of the way is a big part of the decision-making process – it is just one of the services every one of my clients can be sure I will provide. 2 Responses to "Coastal Delaware Good Faith Estimate: It’s Part of the Deal"
Posted on Friday, February 22nd, 2013 at 7:06pm. Posted on Tuesday, April 16th, 2013 at 12:44pm.